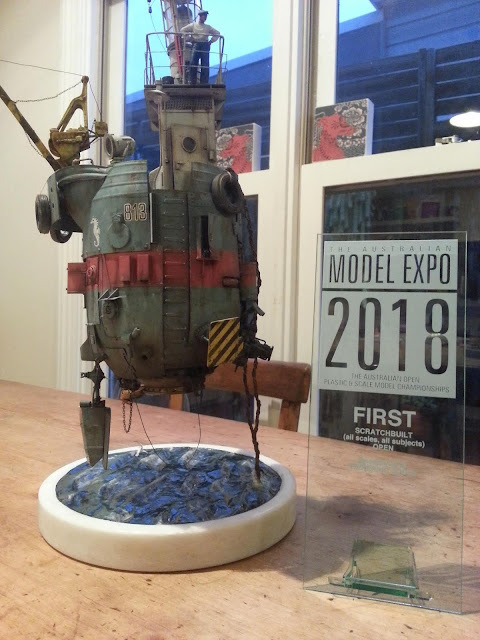 Dave's Model Workshop: So, umm, bloody hell... I won! 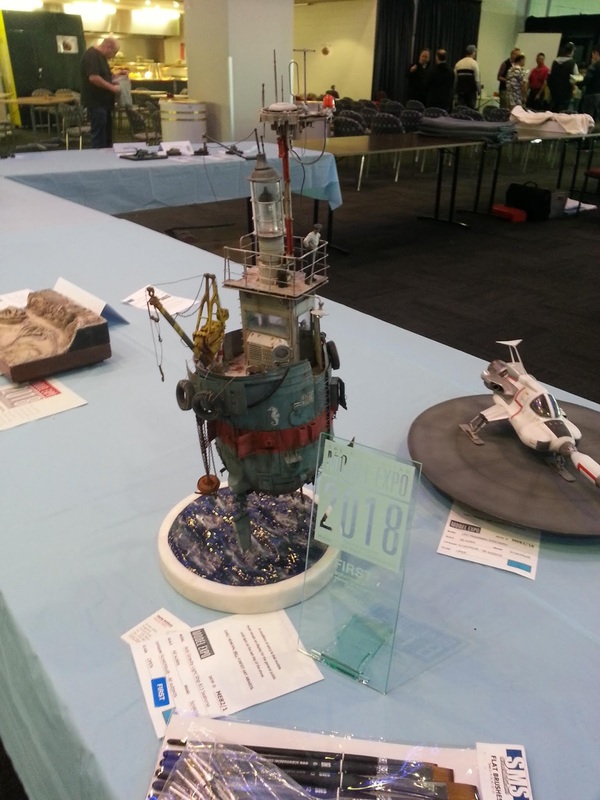 I feel rather honoured and rather proud: The Seahorse won First in the Scratchbuilt category at the 2018 Australian Model Expo. There was some stiff competition in this category, second place went to an impressive Starbug from Red Dwarf, and third went to a scratchbuilt Russian tractor. Whew. Ten months of grind paid off. I've been entering models in the Australian Model Expo on and off since 2007, and this is the first time I've ever placed, I've never even gotten a Commended before. There was the inevitable damage on the way home (yep, the superstructure toppled over again) but it's been repaired now and The Seahorse can take its place on the Shelf of Pride next to its 2018 trophy. Carefully not pictured: the shattered antennas at the top of the communications mast. Thanks for coming along for the ride with me punters. P.S. I will be putting together a big video showcasing the entire 2018 Australian Model Expo this week. Well deserved win, its been a great journey.